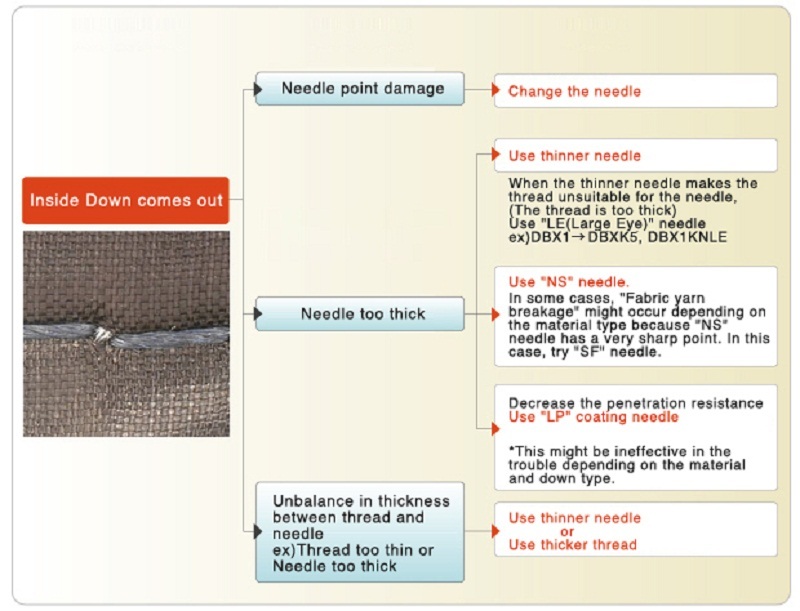 Troubleshooting "Inside Down comes out "｜ ORGAN NEEDLE CO.,LTD. The down comes out through the needle hole and tied thread (stitch). Check the thickness of the needle and thread. 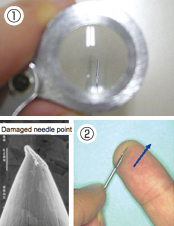 Use a thinner needle when the needle is too thick for the thread.